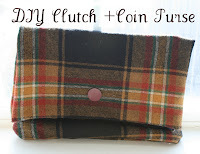 la vie DIY: Ruffle Your Feathers 1: DIY Clutch + Coin Purse! 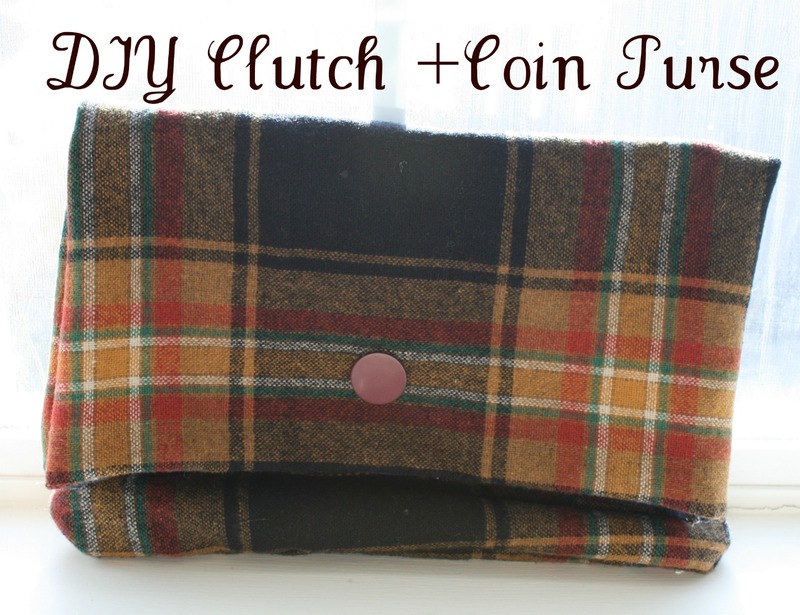 Ruffle Your Feathers 1: DIY Clutch + Coin Purse! Today is the kick off of RUFFLE YOUR FEATHERS week! This week we'll be focusing on projects revolving around ruffles... and I couldn't be more excited. I absolutely love ruffles; they're fun, easy and girly. This first project is from last week and didn't technically comply, so I added a little matching mini/coin purse to it that did! The inspiration for this project came from a) my hatred for patterns and b) some fabric my mom gave me. First of all... I hate patterns. I hate them. I avoid them at all costs. They terrify me. I have like 15 incredible patterns (mostly gifts from my mom that I asked for) and I have only used probably one or two. I have no idea why, but patterns really intimidate me. My mom gave me a clutch pattern recently that was super cute, but when I opened it up to investigate the pattern, I immediately closed it and put it away. I was really bummed because I *did* want to make a clutch. 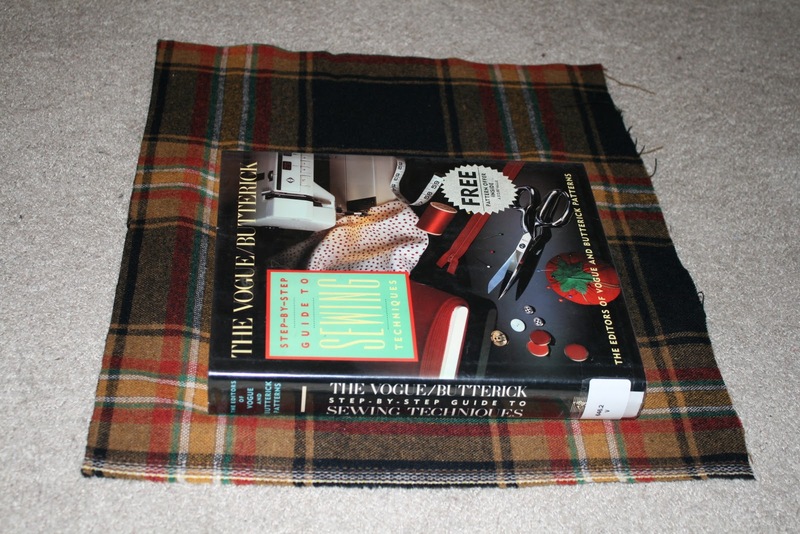 My mom gave me a huge ream of this gorgeous tartan/plaid pattern recently and I absolutely love it. There's enough for a coat, 4 purses and a scarf at least, and I plan on making all of it! I decided to put aside the pattern (for now) and just make my own. 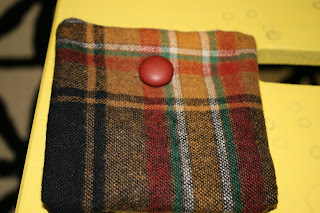 I often make my own patterns (see the ANTHRO SHIRT and PATTERN-FREE DRESS) and knew that I could make a super easy clutch without the help of that brown, transparent, tissue-esque paper. And I did. Ready for the steps? Here we go! 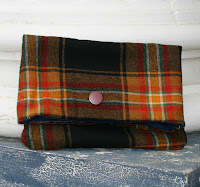 Let's start with the clutch and then we'll do the ruffled coin purse. PS- if you love the coin purse, you can add ruffles to the clutch as well. (1) Map out your size. I used a large book (note, it's a vintage vogue pattern book. Appropriate? Yes.). I wanted mine to be very large, but maybe you want it to be smaller. The larger it is, the more floppy it becomes. 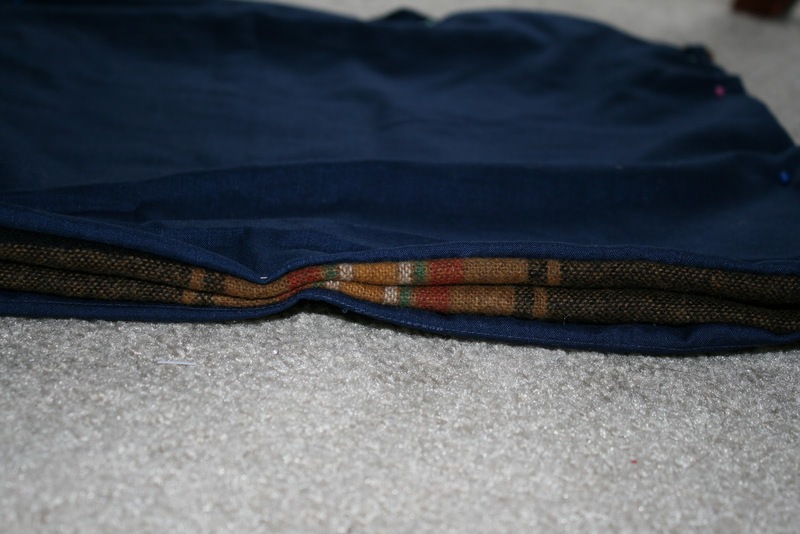 You want to leave room for seam allowance + the fold over edge. 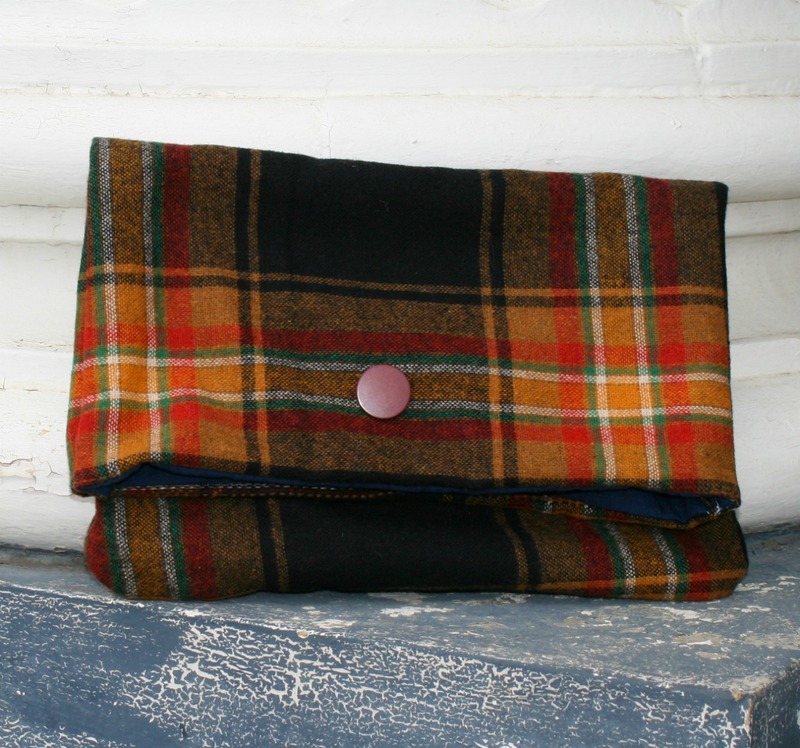 Your clutch will double over when it folds to close, so you want it to be rectangular. (2) Cut it out. You'll want 4 identical pieces TOTAL. 2 in the sturdy outside fabric and 2 in the lining fabric. 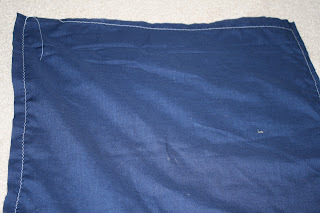 (3) Sew the first section. Whenever I say "sew" you can substitute in "hot glue" or "hand sew" if a machine is either not in your procession or not in your preference. Start by pinning each lining to an outside piece. Remember to put your patterned/nice sides facing inward, since we always sew things inside out and then right them afterwards. Remember to leave 1-2 inches open so that you can flip the fabric right side out. (4) Flip the fabric. I always start in the opposite corner of the open corner and pull through that way. 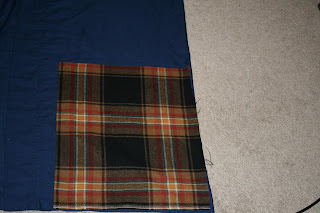 Sew both sets of lining + main fabric and then flip each right side out before continuing to step 5. Remember that after you flip your fabric right side out, you'll have to stitch/glue the open corner up. 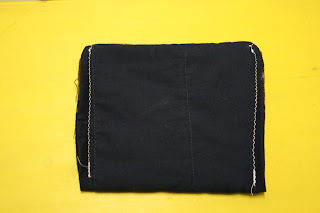 (5) Sew together. 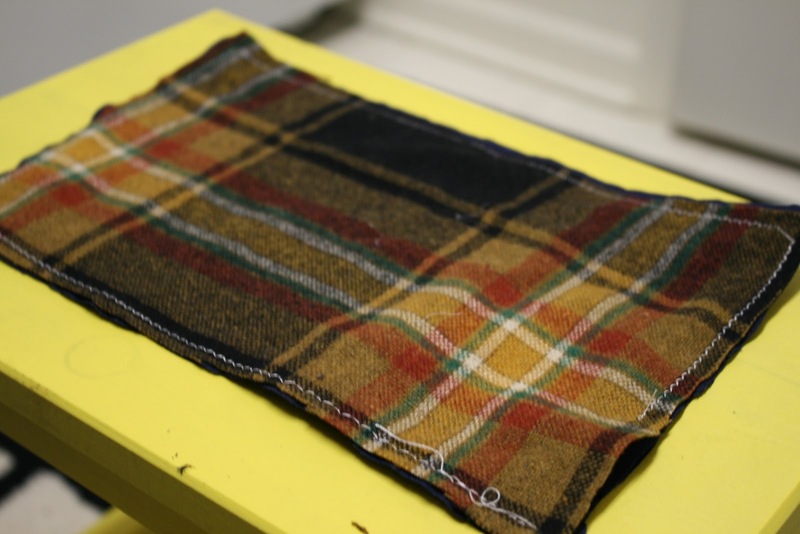 Now you're going to take your two pieces and sew them together, completing (mostly) the clutch. 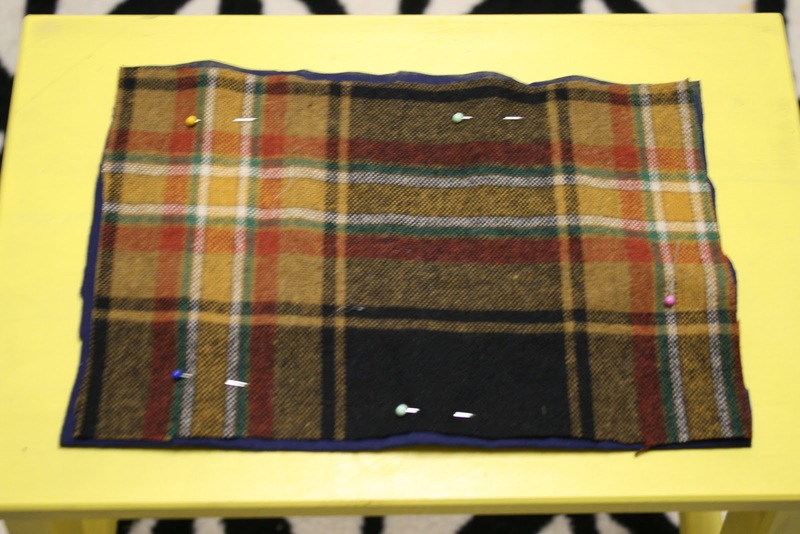 You want to put the outside fabric pieces together and pin, as shown in pictures 4 &5. 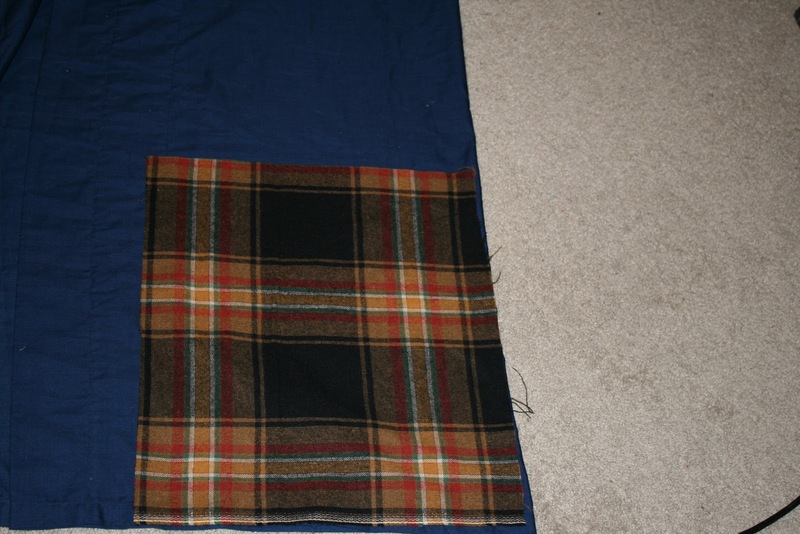 Remember to sew only the 2 long sides and one short side together. The last side remains open... otherwise you can't use the clutch! (6) Flip right side out. Here, you're basically done. You just need to decide how you want to close your clutch. 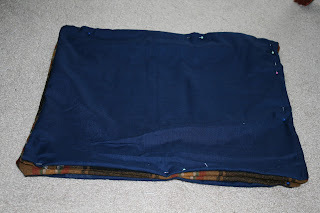 You can a) add Velcro to the inside, b) add a button or c) add a zipper. I don't recommend the zipper... too much work ;). What I did was put a "false" button on the outside for looks and then an actual button on the inside. Technically you don't need anything. You can just throw your stuff in the clutch, fold the top down and go. (7) Embellish. 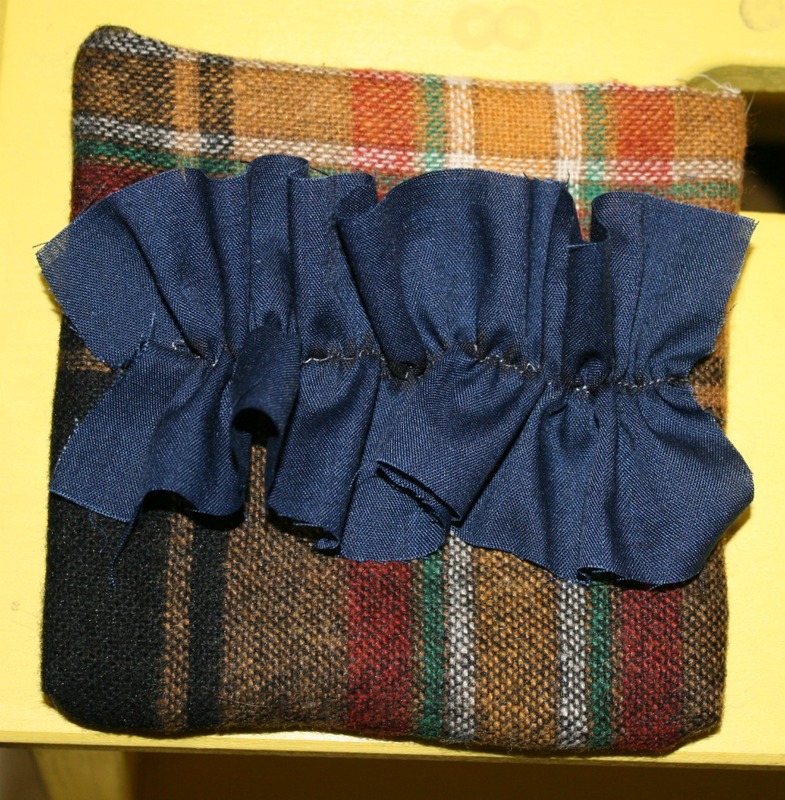 You can add a ruffle, like the coin purse. You can add buttons, like I did, or even a ROSETTE or FABRIC FLOWER. Whatever you want to make it customized to you. Easy, right? And if that was easy, just wait til you see how easy the coin purse is! 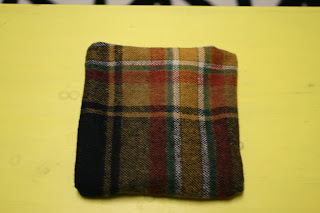 I don't know that it's technically a coin purse, maybe mini-wallet is a better name... but I couldn't think of what to call it. 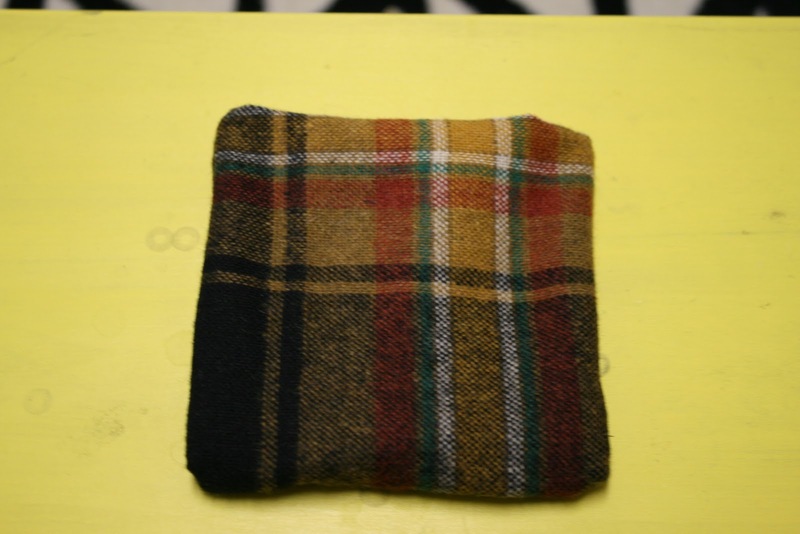 It's tiny, it's cute and it matches the clutch. For the record, I did two different sides on this project because I couldn't decide which I liked better. The ruffled side and buttoned side were equally cute. You can choose for yourself, or use a different embellishment all together! For this, you'll need basically the same things. (1) Map out your size. Just as you did with the clutch, decide how big you want it to be. I cut out a 10.5 x 7.5 inch piece and the finished project is 5"x 4.5". (2) Cut it out. Cut out ONE piece each of main fabric and lining fabric. (3) Pin it. Pin the two pieces together, leaving an opening. (4) Sew it. Sew it together, leaving the opening for you to flip the fabric. (5) Flip it. Flip the fabric right side out. (6) Sew it, take two. fold it in half, hamburger style, with the outside facing in. Run one stitch up each of the short ends, leave the long end open. (7) Flip it, take two. Flip it right side out- you're done! (8) Secure it. 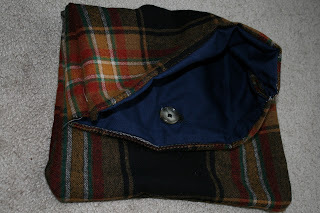 Add a closure piece to the inside (Velcro, zipper, button, snaps). (9) Embellish it. I glued a ruffle down the middle of one side and a button on the top of the other side. If you've gotten this far and you're thinking, "Great! So excited about a ruffle themed week, but I have no idea how to do a ruffle..." then you're in luck. There are a few different kinds of ruffles we'll use this week, but the ruffle from today was super easy. Just take a rectangular piece of fabric and either hand stitch or machine stitch a straight, loose seam down the middle. 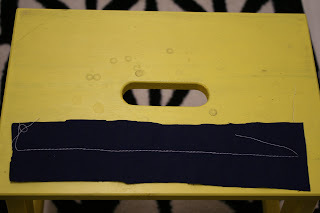 Grab ONE piece of thread from either side and pull. 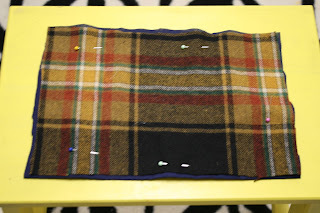 As you pull, move the gathered fabric down toward the other end. Keep it up until your fabric is as ruffled as you want it to be. You can also use a ribbon for this. I like to tie my thread off at the ends, it cinches the fabric in for a cute shape. The clutch is AMAZZINGGGG!! I think I can even handle it as one of my first sewing machine projects. Thanks so much for posting. 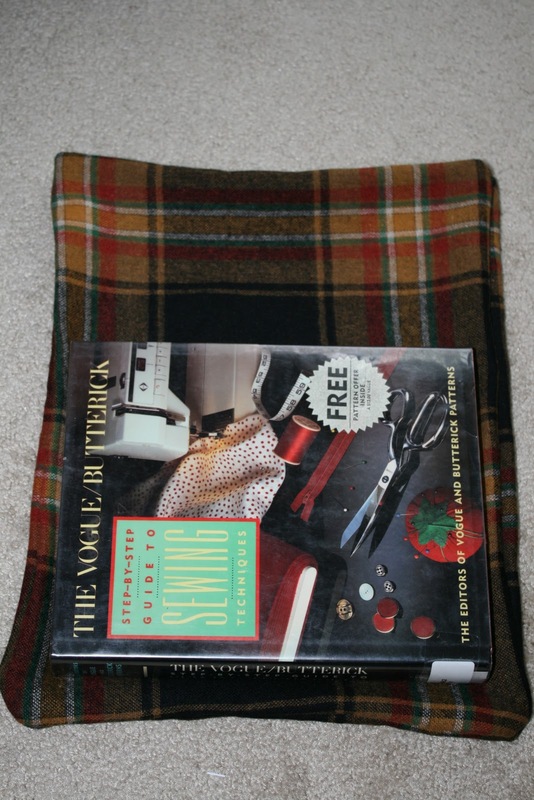 I'm going hunting for plaid this afternoon! You've inspired me. Love your blog, lady! If you have any questions about sewing let me know... also I'm giving this clutch away soon in a huge giveaway series, so stay posted!